With a total investment of 20 million yuan from State Forestry Administration, P.R. 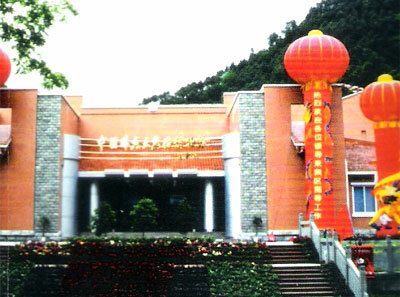 China, the construction of China Wolong Giant Panda Museum begain in October 1999 and completed in November 2001. With a floor space of 4,074 square metres, the museum has gone into operation frmo May 2002. The museum is composed of six exhibition halls :- Preface Hall, Environment Hall, Evolution Hall, Middle Hall, Living Hall and Protection & Development Hall, involving exhibition areas of more than 2,000 square metres. 420 animal samples of 221 species, 86 plant samples of 85 species, and over 200 giant panda related exhibits as well. The museum introduces the environment, habits and evolution of giant pandas in an overall way and the great concern for the animal shown by the people of various countries. The museum is the only one of its kind in the country.